This crazy trek came to be through a series of winding events starting back in early 2015 and has bloomed into a modern day Fox Force Five. We are all passionate about women's rights, which is why we're interviewing women's rights groups along our route to produce an e-book about their needs upon our return. So we can GET to these places! We need money for petrol and chaos in order to get to the finish line and come home to write this book. Help us keep our tanks full, our cars in one piece, and our patooties out of trouble. 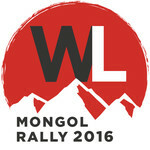 We're one of the very few all-female teams participating in the Mongol Rally. And we're definitely the only team highlighting women's rights issues along our way. We also hope to inspire other women and girls to get out there and explore! Whether it's $5 or $500 we are SO THANKFUL for your help! However you choose to contribute is amazing. You can choose a perk or not...not matter what, we're totally stoked on your help! Find us on Facebook and Instagram for live updates of where we are and the shenanigans that are going down. We will be posting on our blog as much as we can, or track us live on The Adventurists website! For $50 send us yourself, a loved one, a mortal enemy, our just someone you think would be funny and we'll clear coat that bobble head on our vehicle! 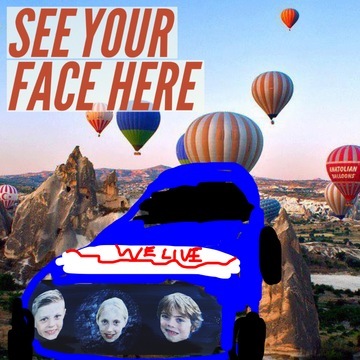 THEN we'll photograph your face in the gorgeous locations we experience along our route. And subsequently, show off your scenic head to your friends. Team #WeLive is managing the funds for this campaign.